One week ago I embarked on one of the most challenging journeys of my life; to not eat for three days. It was difficult, energizing and life changing. Here is my recap of Day One, Day Two and Day Three. Since the cleanse ended I have managed to eat clean; meaning fruits, vegetables, (no grains since it is Passover), nuts and hormone free chicken and fish. I know I will have challenges along the way, but I have learned some important lessons. 1. Cooking is still possible. Just because I want to eat healthy, I can still prepare delicious meal for my family. I made a shrimp, grapefruit and avocado salad that was restaurant quality (if I do say so myself). It takes preparation, but there are crowd pleasing recipes out there. 2. I eat most at home. Therefore, it is best for me to keep busy where I have less time to eat and feel hungry. Luckily, eating clean has provided me energy to stay active with my kids. 3. I can survive without coffee. As a former Starbucks employee and junkie, I never thought I could manage a day without my coffee fix. 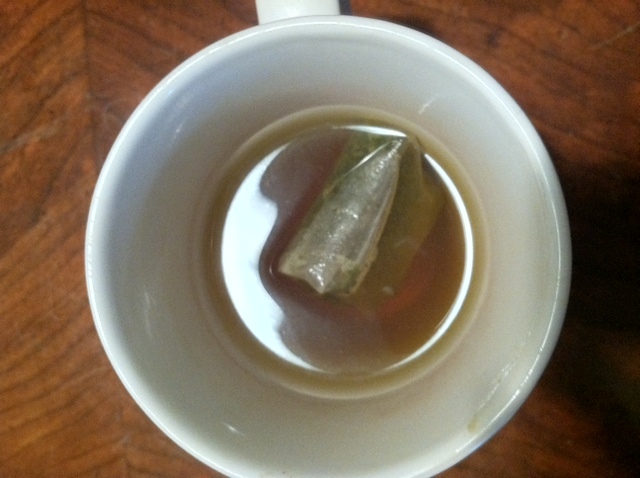 During the cleanse I drank green tea and have continued with little struggle or headaches. Not sure if coincidence or intended, but starting P90X with my husband right after the cleanse has quickly changed the dynamic in our house. I'm cooking healthy meals to give us energy before our workout and he is home earlier than ever to spend time with the kids and get our workout in. We have a similar purpose and a new energy in our relationship. To be fair, everything is not sunshine and rainbows and there are negatives. My skin has broken out worse than ever. An esthetician at the yoga studio explained that the toxins are releasing through my face as well. Adult acne is not awesome. I'd recommend the cleanse to anyone. I never thought I would survive and benefit from three days without eating. You all can do it too. As a healthy initiative, I can not agree with this method of cleansing. I believe you can cleanse in a healthy manner. I have a client whom eats only healthy foods, leads a medium physical activity life and still able to cleanse while eating healthy. My client does a spa service once a month, they wrap her in a heated bag, similiar to a sleeping bag and is monitored for 30 minutes. Her body is scrubbed with a natural toxin releasing granule. She looses 3-5 pounds with the cleanse, as it brings all the toxins to skin level and then releases. Boom. Your done. I would check into the dangers of starving yourself for three days. Your body after so many hours of no food automatically goes into a starvation mode, which can promote fat cell growth. Best thing, do a cleanse with fruits/veggies and drink a lot of water. Chef Jody, Thanks for commenting and appreciate your opinion. Technically, I wasn't starving as I was drinking 6 16 ounce juices a day plus water and green tea. I also wouldn't do it for more than three days. The spa service sounds interesting and I would love to check it out. Thanks for clarifying! Just concerned about you! Spa service is up north some where, I can get you info if you'd like. I myself want to try it too! Yes, I would love the info. Thanks!